Due to slow payouts, we no longer recommend the Ladbrokes. 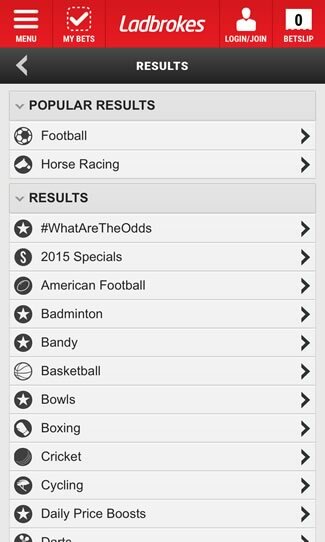 Android sports bettors should try the Paddy Power App. Watch free live streams of NBA, European soccer, tennis, racing and more. Follow games with real-time statistics and animations on your phone. Cash-out, quickbet slips, football coupons, push alerts & PayPal integration. 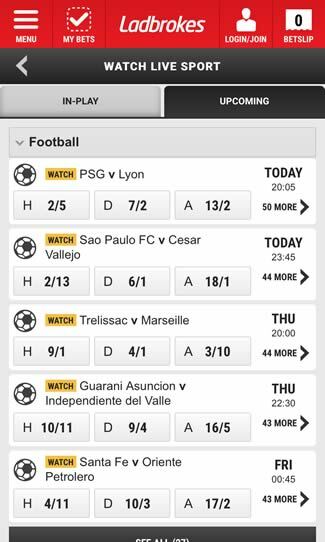 Track the progress of your soccer accumulators in real-time with "My ACCA". Download the app and Ladbrokes will match your 1st wager up to £50. Ladbrokes was one of the first bookmakers to develop a mobile app for iOS and Android and their pursuit of innovation has certainly paid off. Despite some early issue, the current Ladbrokes sportsbook app is one of the best in the business. It almost entirely mirrors the web service with its smooth user interface and advanced betting features. You can place wagers on both pre-game and live events, check your balance, move money between different wallets, and watch live streaming of many events. This gives you the perfect opportunity to bet on the go. The native application is available on both iOS and Android, so they cover most mobile devices. Even if your device is not supported (like BlackBerry or Windows Phone) you can open the Ladbrokes site through your browser. It is completely responsive and works similarly to the app. 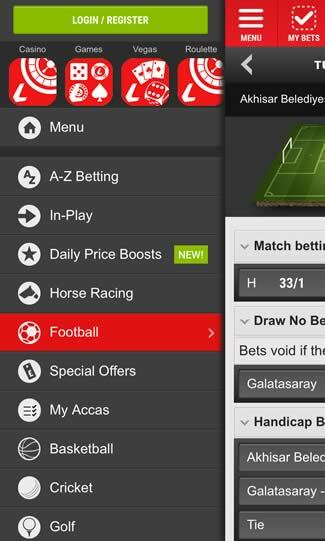 A quick glance at the Ladbrokes bookmaker app reveals it offers all the same features as the Ladbrokes website. You can sign up, deposit/withdraw, cash out and bet on any event or market. You can also check your account history at any time to see the status of your pending bets and summarize your results from your Android or iPhone. 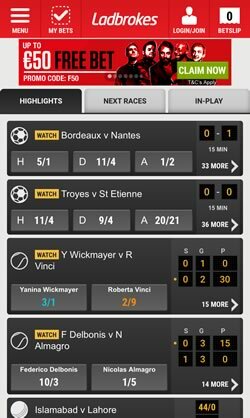 Ladbrokes offers live streams for multiple sports such as football, basketball, horse and greyhounds races on both their web service and their mobile app. The only requirement to get access is to have a positive balance on your account. Every week Ladbrokes streams thousands of live sporting events from the UK, Australia, Canada, Europe, Asia and the United States to users of the Ladbrokes mobile sports betting app. In order to start the streams, just tap on the menu in the top left corner. Then scroll down and choose Watch Live Sport, Watch Live Horse Racing, or Watch Live Greyhounds. A full schedule of all upcoming streams is available for the coming days. You can get a good supply of useful stats through the Ladbrokes mobile app, including real-time animations so you can see at a glance how each game is going. This includes pre-game data for many events and live stats for in-play events. This way you can follow closely what’s happening and make the best judgement for your live bets. This feature is becoming more and more important as it provides the perfect safety net for each bettor. Ladbrokes understands its importance and has included it in their mobile app. It applies to most major sports, including football, golf, rugby, horse racing and tennis for both pre-match and live betting. When a certain bet is eligible for cash out, you will see the cash out icon next to it. In order to take advantage of the feature, you need to go to the My Bets menu and you will see the amount you can cash out underneath your bets. Just tap on it, confirm, and you’re done. As always, the amount you can cash out on each bet depends on the way the event is unfolding. It can be greater than your initial bet, but also smaller. ​If you are Australian, Ladbrokes is especially good for you. The bookie has its own branch for the country and offers a number of special benefits. Those include a dedicated Apple Watch application and VISA Ladbrokes debit card. The latter can be used to instantly access your money from any ATM in Australia. Ladbrokes is one of the oldest and biggest bookmakers in the industry and you can easily see why. They offer all major football leagues like the English Premier League, the Spanish La Liga, Serie A, the Bundesliga, the Champions League, as also many smaller ones. If you like to bet on American competitions such as NBA, NFL, MLB and MLS, Ladbrokes has you covered. Other popular betting markets include tennis, MMA, boxing, volleyball, winter sports, horse and greyhound races, they even have virtual horses and greyhounds. The variety of markets is also impressive as all the traditional options are included, but there are a bunch of specials too. 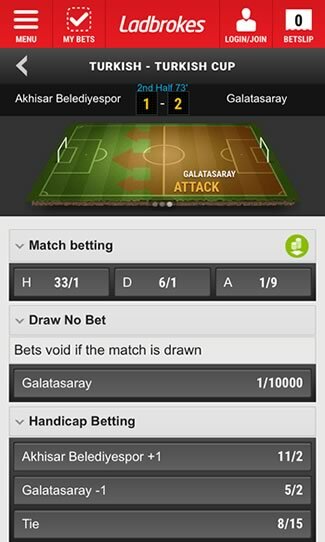 The min bet is 0.1 units of your selected currency and the max is not fixed but depends on the event and market. The limits on popular sports and leagues are high and the juice is below the industry average. 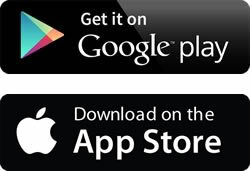 Installing the Ladbrokes app is easy and can be done from the iTunes App Store or by installing the Ladbrokes apk file direct from their website. Alternatively, you could just use the mobile website, which is mobile responsive and offers the same set of features and can be used from anywhere in the world. Ladbrokes offers a decent 100% free bet for all new customers of up to GBP/EUR 50. Just deposit at least GBP/EUR 5 and place on a single bet (or single line accumulator) and you will be given a free bet of the same amount. The free bet itself is not cashable, but the winnings are. There are also a number of other promotions running all the time for many sports, so be sure to check their promotions page regularly for more information. Those included best odds guarantees for horses and greyhounds, daily free bets and many more. All Ladbrokes promotions apply regardless of whether you are placing a wager from their website or on the Ladbrokes Android/iOS bookie app. Ladbrokes is one of the best bookmakers out there and they provide great betting experience with a variety of features, markets, and promotions. All of this is also available on their mobile application and web-app. Whether you want to place a bet, check your account or just watch some live sports from your phone or tablet, Ladbrokes has you covered.